Portable ramps are a great solution for getting a wheelchair user up 1-3 steps. We recommend that you use 1 foot of ramp for every inch of rise on most applications. For public access buildings, check your state codes. Portable ramps are intended for rises under 21″. Need to transport a power chair in a minivan? 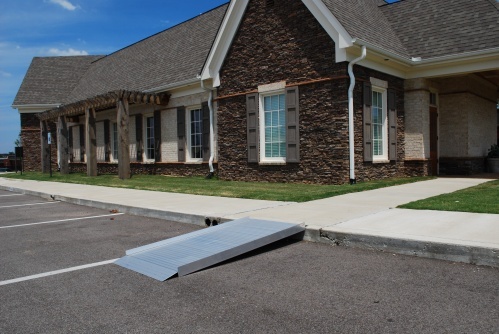 Folding Ramps are the ideal solution for this situation. 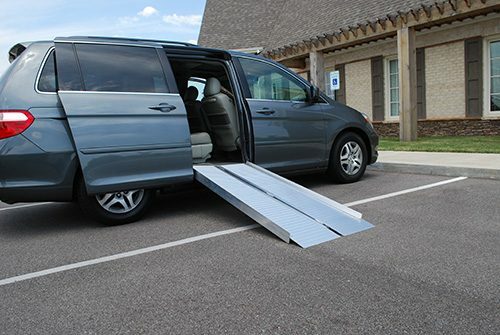 Portable ramps to load a wheelchair in the side door are usually the 6 or 8 foot variety. For the rear door or the tail gate of a pickup truck, 10′ ramps work very well.